The fifth plenary of the 14th National Assembly opened on May 21 in the capital of Hanoi, with the laws on special economic zones, cyber-security and defence high on the agenda. The deputies paid respects to President Ho Chi Minh before the meeting formally began. In her opening remarks, Chairwoman Nguyen Thi Kim Ngan, stated that Vietnam needs to prepare in order to reduce the negative impacts of global uncertainties and guarantee the sustainable growth of the Vietnamese economy. 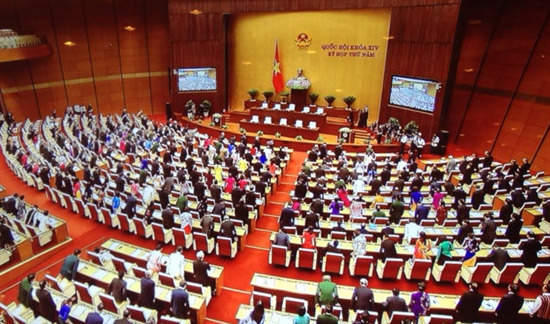 The parliament speaker’s speech was followed by Deputy Prime Minister Truong Hoa Binh’s report on Vietnam’s socio-economic performance in the early months of 2018 and President of the Vietnamese Fatherland Front Tran Thanh Man’s report on voters’ feedback. In the afternoon, the National Assembly will hear the 2016 budget settlement reports and the Ministry of Education and Training’s suggested revisions to the law on general and higher education. 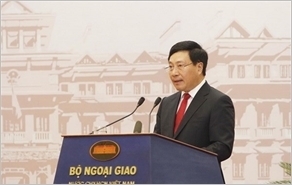 The 5th plenary meeting is expected to last until June 15, with much of the focus on discussing the laws on special economic zones, cyber-security, national defence, planning, anti-corruption and education. Also on the agenda will be a quick question session when the government officials are required to answer the deputies’ questions for three minutes, which is expected to increase dialogue and debate at the parliament.